The Accountant of Auschwitz is more than the latest documentary to successfully convey the horrors of antisemitic genocide to an audience 75 years removed from those events. 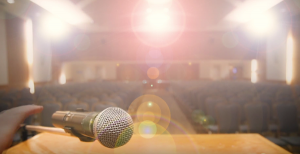 It exemplifies the emergence of a coterie of young filmmakers eager to tell the stories of the Holocaust to their peers and to future generations. For Toronto director Matthew Shoychet and producer Ricki Gurwitz, the trial of nonagenarian SS officer Oskar Gröning in his Lower Saxony hometown in 2015 provided the entry point to explore an ambitious array of historical, legal and moral concerns. The approach they chose for their debut feature documentary, however, was as important as the facts and the message. The Accountant of Auschwitz screened at the Vancouver Jewish Film Festival last fall and is part of the Seattle Jewish Film Festival, which opens March 23. Shoychet’s path to The Accountant of Auschwitz was unusual in that his family was not directly affected by the Holocaust. He was interested in films about the Holocaust, but he wasn’t instilled with the kind of painful personal history that was (and still is) the catalyst for many filmmakers. In 2013, Shoychet went on the March of the Living to Poland and Israel, where he received his first close-up exposure to the Final Solution and Holocaust education. A friend he made on that trip went to work for the Neuberger Holocaust Education Centre in Toronto, and that contact led to Shoychet directing the short film Anne Frank: 70 Years Later (2015), which screened at Auschwitz-Birkenau and the University of Warsaw. 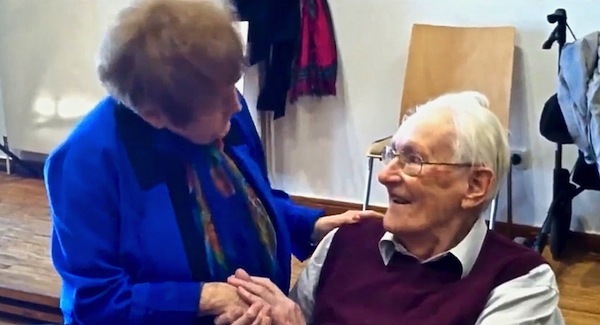 Shoychet joined that year’s March of the Living as a chaperone, where he met Bill Glied, a Serbian native who’d been deported from Hungary to Auschwitz in 1944. When Glied remarked that he was going to Germany to testify at Gröning’s trial, Shoychet and Gurwitz put a pitch together to the Government of Ontario, the Rogers Documentary Fund, CBC’s Documentary Channel and a couple of private investors. “It came together fast,” said Shoychet, who arrived on the scene in Lüneburg, Germany, in the midst of the trial. Gröning’s job, as The Accountant of Auschwitz makes clear, wasn’t loading Zyklon B into the gas chambers or machine-gunning Jews. Thanks to a change in German law, it is no longer necessary to prove that a Nazi pulled the trigger. His presence at the scene and involvement in crimes is sufficient to decide guilt. Among the issues that The Accountant of Auschwitz takes on is the purpose and value of trying a 94-year-old man for war crimes. The film makes a convincing argument on multiple grounds, beginning with the extent of the cover-up that took place in Germany after the war. That paltry number minimizes the scale of the crimes and serves to bury the past. 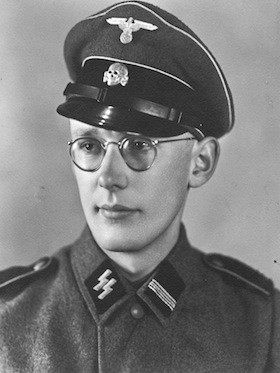 The film asserts that Gröning’s confirmation under oath of his work at Auschwitz was a public and irrefutable rebuttal to Holocaust deniers and other antisemites. “Even if you say he’s too old – and even the survivors say they don’t care if he goes to prison – for history’s purposes, the fact that a Nazi perpetrator is sitting in a German courtroom with German judges, saying, ‘Yes, these things happened, I was there,’ that makes the trial worthwhile,” Shoychet said. A loquacious interview subject, even on the phone from Israel, where he had presented The Accountant of Auschwitz at the Jerusalem Jewish Film Festival a few months ago and was presently working on a project of the One Family Fund (he’s a board member), Shoychet confided that the process of making his feature doc debut was one of learning as he went. For example, until he went to Germany, he had never heard of John Demjanjuk, a Ukrainian who had been convicted of crimes at Sobibor yet consistently denied any involvement. Demjanjuk’s tangled tale, which, among other things, raises the subject of putting an elderly man on trial, ended up being a 20-minute segment in the film. 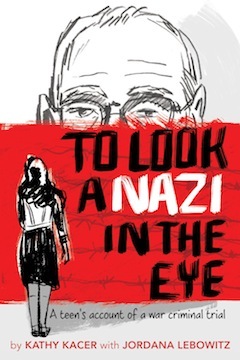 The Accountant of Auschwitz is rife with revelations and messages, but one gets the sense in talking with Shoychet that his main goal was conveying his own experiences of discovery, discussion, inspiration and outrage – with respect to Nazis and survivors, as well as contemporary justice-seekers and neo-Nazis – to viewers his own age. Shoychet’s affinity for provoking questions and debate among the audience bodes well for his next efforts behind the camera. For tickets to The Accountant of Auschwitz and the film festival schedule, visit seattlejewishfilmfestival.org. For another perspective on the impact of Gröning’s trial, see jewishindependent.ca/witnessing-her-history. The theme of Reckonings: Legacies of Nazi Persecution and the Quest for Justice (Oxford University Press, 2018), the new book by eminent English historian Mary Fulbrook, is justice. Or, rather, injustice, as she exposes how ex-Nazi perpetrators, and bystanders to their murderous policies, have evaded (and continue to evade) due process and acknowledgment of moral responsibility for their (in)actions. Every level of strategy open to these criminals and cowards is exposed in Reckonings. Fulbrook reveals all the political, psychological, pragmatic, legal (and illegal), scapegoating, self-serving, self-exculpatory, “we were victims too”-type excuses by which the morally corrupt and unconscionable avoid due process and personal liability. 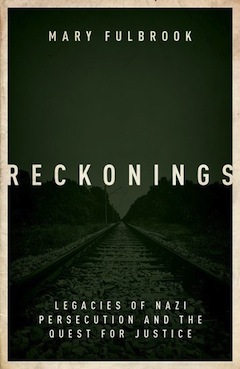 Reckonings is rich with such exploration of “individual lives,” both of persecutors and bystanders, and it rings also with the agonizing accounts of dozens of victims, among whom Fulbrook gives frequent and welcome voice to the rarely referenced persecuted sub-groups of homosexuals, and victims of Nazi euthanasia policies. Fulbrook’s central focus is, however, justice: justice failed and justice delayed, delayed by silence, by endless rationalization, by foot-dragging, by the pollution of the legal system by former Nazis (described as “themselves swimming in a sea of guilt”) and, no less disturbing, by the pragmatics of (primarily American) Cold War strategists, anxious not to offend a potential ally against the Soviet Union. Reckonings is divided into three parts. Part One, the most “traditional” part of the book, explores the various sites of this “maelstrom of murder,” beginning with Auschwitz, but moving carefully beyond, to less and less better-known killing centres, especially in southern Poland – where there were many forgotten violent “microcosms of violence,” as she calls them. The third part, “Memories,” is about how survivors remember, and how Nazis forget. It combines a plangent exploration of the personal experiences of individuals living around the world who have survived persecution – most of whom have never received compensation or recognition – with accounts of how perpetrators and their minions managed (and still manage) to cover their tracks, and how this evasion affects their children and grandchildren. The most memorable chapter of this final part is called “The Commemoration of Shame.” She notes here how the “shame” of the perpetrators is almost always buried in the sea of guilt-ridden commemoration throughout Germany, as is the pain of forced and slave labourers, the acknowledgement of which would still have legal (compensation) ramifications for German industry. Fulbrook also notes here that it wasn’t until 2014 that the first memorial appeared for the victims of Nazi euthanasia policies. Ian Kershaw has written that “the road to Auschwitz was built by hate but paved by indifference.” Fulbrook reveals that the road from Auschwitz is not a whit less hateful and, certainly, no less met by indifference. Graham Forst, PhD, taught literature and philosophy at Capilano University until his retirement and now teaches in the continuing education department at Simon Fraser University. From 1975 to 2010, he co-chaired the symposium committee of the Vancouver Holocaust Education Centre. After more than 20 years, an entire nation continues to search for answers and justice. With an estimated population of 330,000, Argentina’s Jewish community is the largest in South America and, outside Israel, the sixth largest in the world. First arriving in Argentina in early days, Jews have continued to immigrate ever since. During its “golden era” (1900s to 1950s), an estimated 500,000 Jewish people lived there. The vast majority of Jews in Argentina are Ashkenazi, from central and eastern Europe. From the start, this active, prosperous and engaged community has left its mark in local business, infrastructure, culture and politics. My family was part of this group; Argentina was the place we called home and where four generations of my family were born. AMIA (Asociación Mutual Israelita Argentina or the Argentine Israelite Mutual Association) is the central support organization for all Jews in Argentina, tracing its roots back to 1894. Everything changed the morning of July 18, 1994, at 9:53 a.m. While I was attending a history class, more than 600 pounds of explosives hidden in a vehicle were detonated in front of AMIA. The explosion was followed by a cloud of smoke and dust seen for miles. In seconds, along with the iconic Jewish organization in Argentina and everything surrounding it, the building housing all of Argentina’s rich Jewish history was, simply, gone. This tragedy was followed by panic, mayhem, sirens, ambulances, calls for help, deaths totaling 85 and hundreds more victims, severely injured and traumatized, transported to hospital. At my school, phones started to ring. The principal rushed into our classroom to have a private word with our teacher, who then broke the news that AMIA in Buenos Aires was bombed. We were in shock. The same black dusty cloud that could be seen above AMIA descended upon the student body, the teachers and the administrative staff. Frantic activity ensued and, within a few hours, the school was deserted. My first reaction was concern for my family and friends, many of whom worked at AMIA. I would soon learn that, although one miraculously survived under the rubble and a few others were spared, having not yet arrived at the time of the attack, three died in the explosion. I would learn of the tremendous cultural and historical loss of books, manuscripts, community records, art, pictures and more. I would learn of the disorientation felt by so many who could not comprehend the magnitude of the attack. And I would learn of the rage of those who survived their loved ones. To this day, I will never forget the conversations around the dinner table that revealed the pervasive feeling we were no longer safe. Some of my friends were immediately withdrawn from the private Jewish school I attended and transferred to the public school system. I would learn of sentiments such as “Jews should be concentrated in one place and live together so innocent Argentines would not suffer.” Yet, in my mind, we were all Argentines. Over the following years, as I transitioned from my teenage to adult years, I would learn of government cover-ups, of the miscarriage of justice, and of injustice done in the name of greed and corruption. I would also learn of Hezbollah, Iran and other terrorist elements suspected of involvement one way or another. And I would be constantly reminded of the pain of those left behind, and the impunity of the perpetrators, which reinforced the sense of insecurity that took over a proud and vibrant Jewish community. In spontaneous reaction, hundreds showed up to the site where the AMIA building had stood. Many, my father was among them, were volunteering to assist in the rebuilding process. Those were dark days. The community needed to reorganize. Within a week of the attack at Pasteur 633, a community building a few blocks away began to function. As the temporary head office of AMIA, the Ayacucho 632 site became the place where families sought information about the victims of the attack and where AMIA resumed essential operations, especially those pertaining to social services and community relations. The Ayacucho building also became the place in which I started my journey as a Jewish community volunteer and where I later decided to pursue a professional career serving the Jewish community. Five years after the attack, on the original site, a new building was opened that symbolized the creative drive of a community willing to preserve the heritage of a cultural tradition that honors life and collective memory. This July 18, as every year, the bombing was commemorated with a ceremony in front of the new, now heavily fortified, AMIA: This year’s ceremony marked 22 years since the attack, Argentina’s deadliest bombing ever. The AMIA bombing was an assault on all society and one that has left deep political scars, not just upon Argentina’s Jewish community. It is a symbol of the entire Argentine state and a society still searching for the truth. And the truth – about a sophisticated terrorist act of mass murder that sent a brutal message of destruction and death – must come to light. The attack is a wound that remains open to this day. I vow to neither remain silent nor rest until those guilty of these attacks are apprehended, and I hope that the Argentine government will make every effort to ensure that the terrorists responsible for this horrendous act are brought to justice. Viviana, Cristian and Guillermo, I will never forget. Porque tenemos memoria, exigimos justicia. Because we have memory, we demand justice. Nico Slobinsky is director, Centre for Israel and Jewish Affairs, Pacific Region. He was born and raised in Argentina before immigrating to Israel and, later, to Canada. A new handbook published by T’ruah: The Rabbinic Call for Human Rights provides a resource for the Jewish community to press for change around the problem of mass incarceration in the United States. The handbook is available for free download at truah.org/incarceration. It provides background and resources – steeped in Jewish texts and teachings – for Jewish communities to take action around these issues. Leading a network of 1,800 rabbis across North America, T’ruah aims to bring attention to an array of domestic social justice issues, as well as human rights for Israelis and Palestinians. When it comes to mass incarceration, Canada doesn’t have the same problem, but we have similar societal ills when it comes to race, ethnicity and imprisonment – as well as problematic prison conditions themselves – that call out for redress. The handbook initiative came out of T’ruah’s earlier work on ending solitary confinement. Over the last couple of years, Kahn-Troster has found the Jewish community to be increasingly receptive to grappling with issues around incarceration. Michelle Alexander’s book The New Jim Crow: Mass Incarceration in the Age of Colorblindness, which details the effect that mass incarceration – and the subsequent denial of civil rights for convicted felons – has had on the African American community, really opened people’s eyes, she told the Independent. Why the term mass incarceration? Compared to other countries, the United States imprisons its population at alarmingly high rates: 698 out of every 100,000 citizens are behind bars. For comparative purposes, Canada’s per capita rate is 141 out of 100,000, according to Statistics Canada. And then there is the problem of race. African Americans are six times more likely to be jailed than their white counterparts, yet crime rates are not necessarily different. According to American Civil Liberties Union data cited in the T’ruah report, despite equal rates of actual usage, a black person in America is 3.73 times more likely as a white person to be arrested for drug use. In addition, a report from Saskatoon and Regina, cited in the Saskatoon StarPhoenix, revealed that indigenous students are 1.6 times more likely to be stopped on the street than non-indigenous students. A Toronto Star analysis revealed that, in Toronto, blacks are three times more likely to be stopped by police than non-blacks. In Canada, solitary confinement is an ongoing issue, as is overcrowding, concern over mental and physical health and rehabilitation, and an overall troubling rise in incarceration rates just as the crime rate lessens. Reporting in the Toronto Star puts the figure at a 17% increase in the federal prison population over the last decade. With t’shuvah (repentance), cheshbon hanefesh (personal accounting), a questioning spirit and the search for social justice all core Jewish values, T’ruah’s initiative is laudable. It’s easy to look away – and harder to do the tough work of asking how we can both prevent harm to victims while improving our nation’s justice system to avoid discrimination and to shelter the most vulnerable. Michele Landsberg and her daughter Ilana Landsberg-Lewis laughed and spoke over each other in an animated joint telephone interview with the Jewish Independent. The two women, who are among Canada’s most influential activists, agreed more than they disagreed, and their ideas and opinions flowed and meshed in a way made possible perhaps only through a lifetime of dialogue. The mother-daughter duo will be keynote speakers at West Coast LEAF’s Equality Breakfast March 11. West Coast LEAF was founded in 1985, alongside its sister organization, the Women’s Legal and Education Action Fund (LEAF National), to ensure that the promises contained in the Canadian Charter of Rights and Freedoms would become a reality for women in British Columbia. West Coast LEAF’s founders recognized that there would be challenges and great potential in putting the abstract legal rights of Section 15 (the equality provision) into action through the courts. The annual Equality Breakfast generally falls around International Women’s Day, which is May 8. Landsberg is a writer and social activist who wrote for the Globe and Mail and Chatelaine before a 25-year run as a columnist for the Toronto Star. An officer of the Order of Canada, Landsberg’s name is synonymous with feminist perspectives on Canadian and global events. Landsberg-Lewis is a labor and human rights lawyer. She is the executive director of the Stephen Lewis Foundation, which she co-founded with her father, the former leader of Ontario’s New Democratic party, who also served as Canada’s ambassador to the United Nations. The foundation works with grassroots organizations in sub-Saharan Africa to turn the tide of the AIDS pandemic. Landsberg-Lewis said she never felt any pressure to go into the family business. In addition to her mother’s writing and activism and her father’s political and diplomatic career, her grandfather David Lewis was leader of the federal NDP. In her work with her father, Landsberg-Lewis sees the catastrophic advance of AIDS in Africa, but is also inspired by the responses of women who are, she said, “the most affected and infected” by the disease. “They’re bearing the brunt of the apocalypse of AIDS, they are raising the children, they are pulling their communities together, they are the ones who are trying to effect change, they are the ones who are most adversely affected by discriminatory laws and, on that level, it’s pretty grim,” she said. On the other hand, she continued, despite global funding for fighting AIDS flatlining, affected women are stepping up. Back in North America, a whole different type of change is happening, both mother and daughter agree. Feminists who remember the fights of the 1950s and ’60s are coming up against a generation of young women with a very different idea of what equality and feminism mean. The recent comments by former U.S. secretary of state Madelaine Albright and feminist icon Gloria Steinem, who is a friend of Landsberg’s, nearly led to inter-generational warfare on social media. Steinem apologized for her comment that young women are abandoning Hillary Clinton’s campaign for Bernie Sanders’ “because that’s where the boys are.” Landsberg blames a grueling book tour and Steinem’s emphatic support for Clinton for the comment, but added she thinks Steinem was getting at an important point when she misspoke. Landsberg-Lewis interjected, contending that the division between Clinton and Sanders supporters is based on ideology more than gender. The rise of Sanders, the democratic socialist whose campaign bills itself as a movement for change, is a good sign on several fronts, say the two. Feminism, among other movements, has struggled in the face of American individualism. This is something that differs in Canada, they agreed, but may signal a revival of movement feminism as more Americans hear Sanders’ message of shared responsibility. Moving to Canadian politics, mother and daughter both expressed optimism. She’ll be watching the new government’s approach to a national child-care plan and worries that Trudeau may be too insulated in the world of “nannydom” to understand that affordable child care is key to women’s equality. Tickets for the West Coast LEAF Equality Breakfast March 11, 7 a.m., at Fairmont Hotel Vancouver are $90 (tax receipt for eligible portion) from 2016equalitybreakfast.eventbrite.ca.